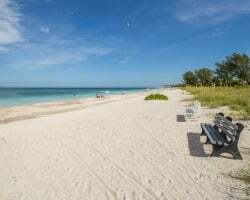 Retreat to the stunning shores of Captiva Island with your very own timeshare unit at South Seas Club at South Seas Island Resort. Find timeshare resales and rentals priced up to 70% below retail costs today. What’s My South Seas Club Timeshare Worth? Part of the larger South Seas Island Resort, the South Seas Club offers homelike accommodations in the heart of Captiva Island, one of Florida's best destinations. Guests will find themselves in the center of all the area has to offer, with the beach just minutes away and golf right outside the front doors. 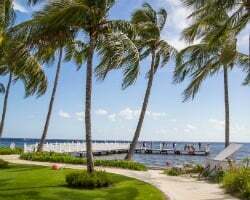 Perfect for families, couples, or groups of friends looking for a fantastic beach getaway, the South Seas Club at South Seas Island Resort will accommodate you and your party comfortably. You'll find ultra-luxurious timeshare accommodations that echo the natural Floridian surroundings, offering an immersive escape into the island atmosphere. Two bedroom suites line the resort's grounds, offering plenty of space and in-unit amenities to ensure everyone's comfort. Find desirable features like full kitchens, private screened balconies, premium bedding, and so much more in your own timeshare unit. 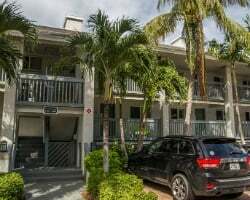 If you're looking for a quiet and picturesque place to serve as your home-away-from-home on Captiva Island, look no further. Are you ready to find your dream accommodations at the South Seas Club? Fill out the form on this page to learn more about ownership opportunities at the resort, or call a representative at 1-877-815-4227 today. Owning a timeshare at the South Seas Club will reward you with years of great vacations to Captiva Island, packed full with exclusive owner benefits to enjoy. However, buying that timeshare on the resale market can provide you with the same great ownership appeal for thousands less. Because timeshare resales are sold by people and not the resort itself, prices for ownership intervals are often much lower. You can find timeshare ownership suites at the South Seas Club for prices up to 70% off retail, allowing you to save money and find the long-term vacation solutions you want. Timeshare resales at the resort are available in both deeded fixed and floating timeshare weeks. You'll be able to choose which ownership interval is right for you, allowing you to find a timeshare that suits your needs without having to settle. Resales are also available at a number of different price points spread throughout Hilton's Silver, Gold, and Platinum seasons. What's more, you could use your resale ownership at the South Seas Club to unlock more exclusive vacation perks through the Hilton Grand Vacations Club. 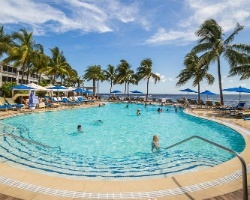 The South Seas Club at South Seas Island Resort is affiliated with Hilton Grand Vacations Club. As a resale owner, you'll have the chance to take advantage of some of HGVC's best benefits. While you won't be able to enroll in the club at the Elite level, you can still access some amazing perks and privileges. For example, you can convert your timeshare week into HGVC points to make the reservation and vacation planning process easier. You can also convert unused points into HHonors rewards to redeem extras and bonuses. Finally, you can explore other amazing destinations by spending your points on vacations to other Hilton resorts. The South Seas Club is also affiliated with RCI, the world's largest timeshare exchange brand. Exchanging your timeshare can be a great way to squeeze the most out of your resale. Simply deposit your Captiva Island accommodations into the RCI network, and choose to vacation at one of 8,000 other affiliated resorts around the globe. You'll need a separate RCI membership, but acquiring one will allow you to trade for stays at comparable resorts in destinations like Las Vegas, Mexico, and beyond. Your timeshare at the South Seas Club will bring you to a full-fledged vacation resort with a variety of on-site amenities and services that make total relaxation possible. Spend some time relaxing by the pool or hot tub to take in the Florida sun, or rent water sports equipment from the front desk for days of endless fun at the beach. An on-property trolley will take you to different parts of the South Seas Island Resort with ease, while the free parking provides an easy spot for you to store your rental car. Tee off at the resort's golf course located right on the property, or hit the tennis courts for some friendly competition. Other services, like the laundry facilities, wireless Internet, and complimentary greens fees help to make your stay more convenient. Nearby, you'll find all of Captiva Island's best attractions within easy reach. Embark on sailing excursions around the island or try your luck at deep sea fishing in the Gulf waters. Walk the quiet beaches lining the island, or head south to Sanibel Island to discover attractions like the J.N. Darling National Wildlife Refuge and the Sanibel Island Light. Already Own at South Seas Club at South Seas Island?